Record World on the Southchurch Road, first in the town to stock fanzines from London like Sniffin Glue, Jamming and Ripped & Torn. 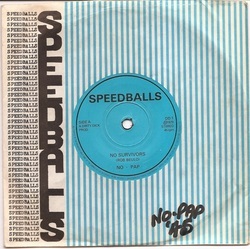 They also had their own subsidiary record label that put out singles by local punk and mod bands like Speedball and The Machines. Comment: Quercusrobur.